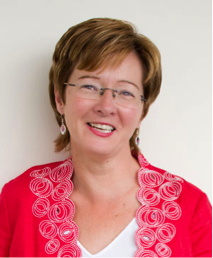 Rita is an independent Learning & Development Consultant, Trainer, Executive Coach and International Speaker. Her passion for learning and development shines through in her life and work. As an adult learner she gained an MA in Continuing Education (University of Warwick, UK) and a BA (Hons) (University College Cork, Ireland). In 2013 she gained first class honours in a post-graduate qualification in Executive Coaching. Rita has presented at academic conferences in the UK, USA and India on the topic of lifelong learning. As a public speaker and member of Toastmasters International, she has presented to audiences across the globe. In 2007, Rita took a “Mid-Life Gap Year” travelling solo overseas and spending several life-changing months in Johannesburg working with women escaping prostitution. On her return, she realised her dream of setting up an innovative learning and development business. She founded Inside Out Learning in 2008 and since then has worked successfully with clients in the public, private and third sector. Leaping from employee to business owner was exciting and terrifying. Rita had to be “dragged kicking and screaming” to her first networking event. Over the years, she has made great friends, received massive support and won close to £50,000 in business as a result of others looking out for opportunities for her, or through chance conversations at a networking event. She also looks out for others, offers support, shares information, acts as a sounding board etc. She now helps other business owners to become more effective in their networking. Her greatest passion is supporting others in their learning journey. This passionate and friendly Irish woman is renowned for her interactive, informative and fun sessions.